Earlier this week, Thirsty Monk – Portland tapped Grace Sour Blend, the latest collaboration from Thirsty Monk – Denver and Crooked Stave Artisan Beer Project. On this latest in a series of collborations between the two breweries, Thirsty Monk Head Brewer, Brian Grace, returned to his former brewer to collaborate on a beer together. Grace Sour Blend is burgundy in color, with aromas of red wine, leathery Brettanomyces, oak and a light berry bouquet. Flavors swim in a medley of berry fruit and skins, red wine, mild oak and a balanced Brettanomyces funk. 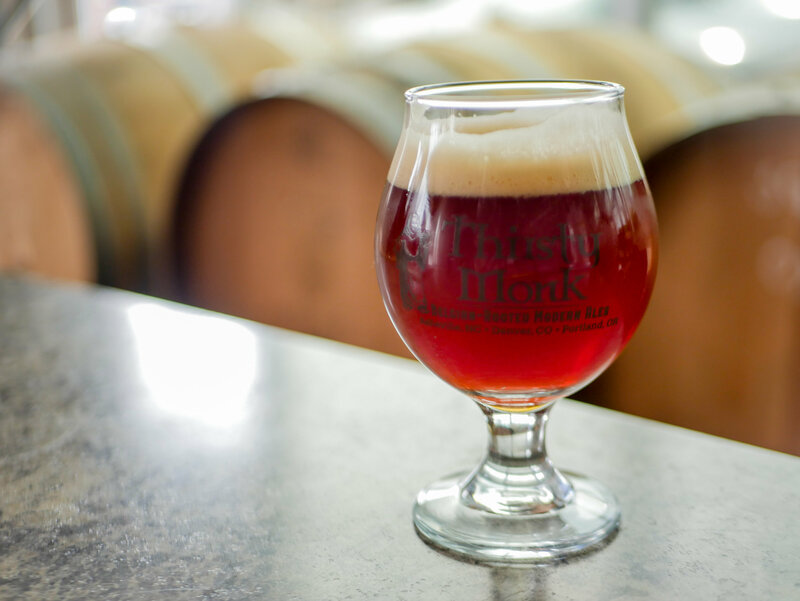 The care Grace took in hand selecting this blend is evident in its smooth complexity, showcasing a new direction that the Thirsty Monk family is excited to explore and add to its well-rounded beer list. And don’t forget about the various daily specials at Thirsty Monk – Portland. Look for Food Flight Happy Hour – $6 Food Flights 4pm-6pm Tuesday-Friday; Tuesday – Burger Tuesdays! $12 Burger and Beer Combinations; Wednesday – $1 off Food Flights; and Thursday – $1 off & Beer Flights.